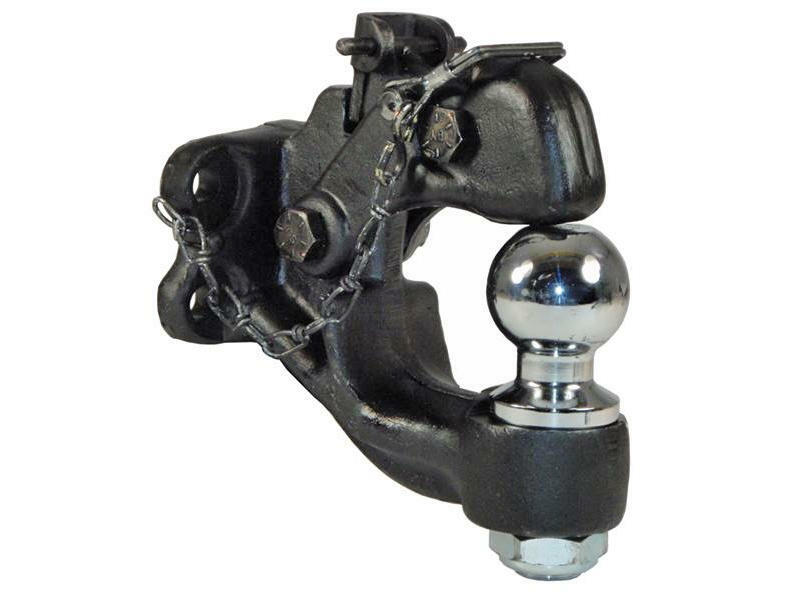 Pintle Hook and 2-5/16 inch Chrome Ball Combination with positive locking latch and tethered pin. This item requires a MK-128 bolt pack for installation. Ball capacity is 10,000 lbs.